"The audio lessons and language games are simply brilliant." Just recently I signed up for the free trial of Rocket French, which offers access to the full course for six days. The course is available in two versions: online, which includes downloads and the physically shipping DVD software package. The free trial that I mentioned before includes access to the online version only. Future updates of the program are guaranteed as part of the package, meaning you will continue to benefit from new course material going forward. 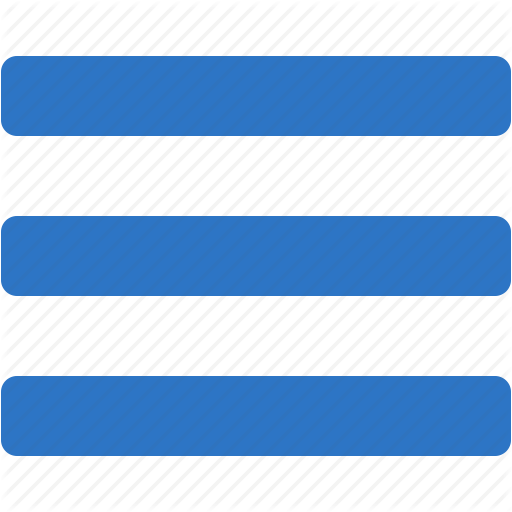 The course is compatible with PC and MAC computers and mobile devices such as the iPad, iPhone, and the Android platform. The MP3 files can be transferred to your devices, making it a great tool for learning on the go. I experienced no limitations copying them back and forth. The home study approach will also save you a considerable amount of money compared to going to classes, which is nevertheless still one of the best ways to learn a language. That said, even though you won't be in the physical presence of a teacher, this program provides all interactivity and motivational attributes of the classroom environment. One of the hardest parts of learning French are verb conjugations. Rocket French challenges this part with an entertaining approach called MegaFrench which uses fun games and quizzes to engage the learner and reinforces the rules of tenses. The program comes with over 2700 French words and phrases, and the Rocket Record function assists you in practicing the spoken parts by overlapping your voice with the voice of a native speaker to eradicate errors in pronunciation. Rocket Languages even goes a step further by providing over 60 cultural language lessons to ensure that you can integrate appropriately with locals and learn the customs before embarking on a trip. Rocket French covers the part about how you can retain words very well. This is essential for adults who struggle soaking up vocabulary and new words as well as children do. The conversational learning method as opposed to just looking at pictures and associating them with words is a fantastic approach. It makes learning much more fun and less repetitive than other programs (e.g. Rosetta Stone) with their traditional image recall technique. In addition to the tools mentioned above, Rocket Languages will give you access to their learners' forums, allowing you to interact with French instructors if you have questions, 24/7. The package gives you lifetime membership to the learning lounge where you can access all the course materials, notes, tests, self-tests, etc. When you have finished your premium level course in French, you can advance to more complex situations and obtain more flexibility in your ability. Progress tracking, tests and certificates provide motivation and a classroom-like sense of achievement. Fantastic MP3 audio lessons (that can be loaded onto your phone or MP3 player). My Vocab feature lets you create your own dictionary. Lack of advanced writing lessons. 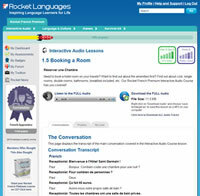 The Rocket French course offers a great all-in-one French learning solution and definitively includes the most evolved audio lessons on the market. The inclusion of cultural lessons is a brilliant feature and the varied methods of learning provide a highly engaging learning experience. The Rocket Languages community and forums allow students to interact and share opinions, discuss topics, ask, and answer questions, which is an essential motivating factor for success. The quality of the package, great support, and low price (currently just $99.95 instead of the usual $299.95) makes Rocket French my Editor's Choice.